Empowering pharmacist franchisees, refreshing the pharmacy sector. Combining decades of knowledge in franchising and pharmacy technology solutions to bring about change in the pharmacy space. 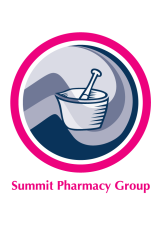 Through acquiring pharmacy management companies we create a large group that allows community pharmacy to retain their autonomy. The power of numbers means we can give small community pharmacies the more elaborate and expensive tools of a much larger business. Rx Holdings is a holding company that will acquire pharmacy franchisor groups to deliver unparalleled expertise and a reliable reputation in pharmacy management. Big pharmacy groups now dominate the sector, making it hard for local community pharmacies to stay competitve. Utilising our franchising model expert we will develop a network of community pharmacies that have the tools of a big business and can remain relevant in a changing industry. Understand why this business model with drive growth. We are here to revitalise the traditional pharmacy model. Get in touch for more information from our experienced team.